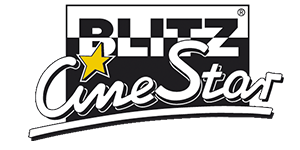 New York, NY (April 8, 2019) – Blitz-CineStar has been named as the 2019 recipient of the “International Exhibitor of the Year” award at CineEurope. The award will be presented to Hrvoje Krstulovic, Co-Founder and Member of the Board, as part of the CineEurope Awards Ceremony hosted by the Coca-Cola Company on Thursday, 20 June, at the Centre Convencions Internacional Barcelona (CCIB) in Barcelona, Spain. Last year, Blitz-CineStar’s 15th anniversary was marked by winning a prestigious ICTA award in the category New Build Cinema of the Year, for its CineStar 4DX Mall of Split, the biggest cinema site in Croatia’s coastal region of Dalmatia.